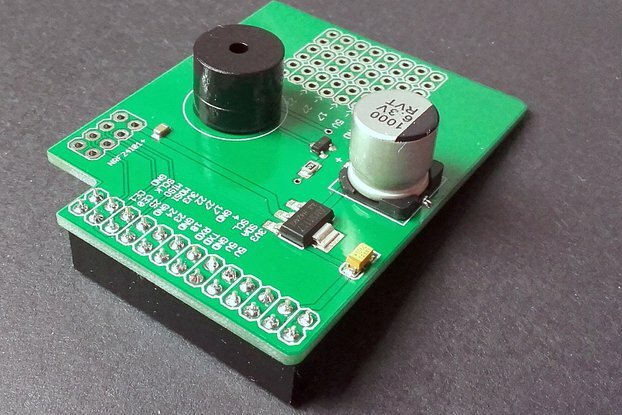 ZigBee Shield for Raspberry Pi. Works with Philips Hue, Ikea Tradfri, Xiaomi Aqara and others. Elelabs ZigBee Raspberry Pi Shield is designed specifically for Raspberry Pi (1,2,3). 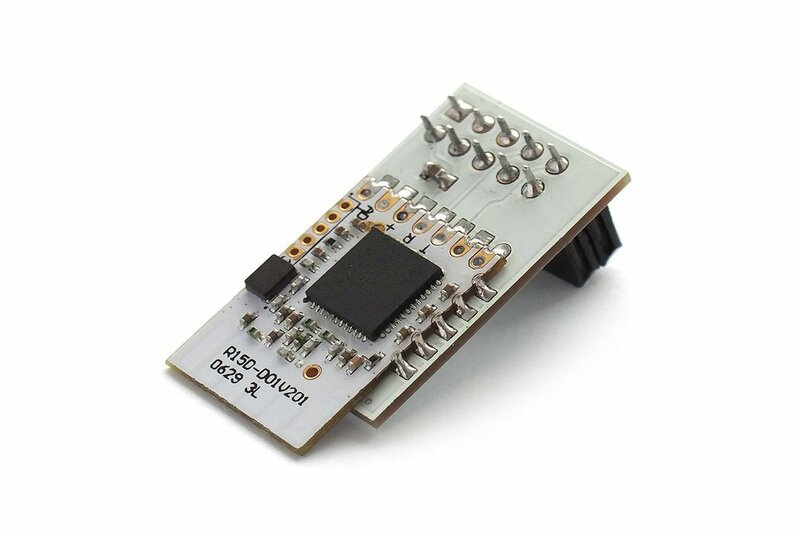 It is based on EM357 SiLabs chip, which is a 2.4-GHz、IEEE 802.15.4/ZigBee microcontroller. 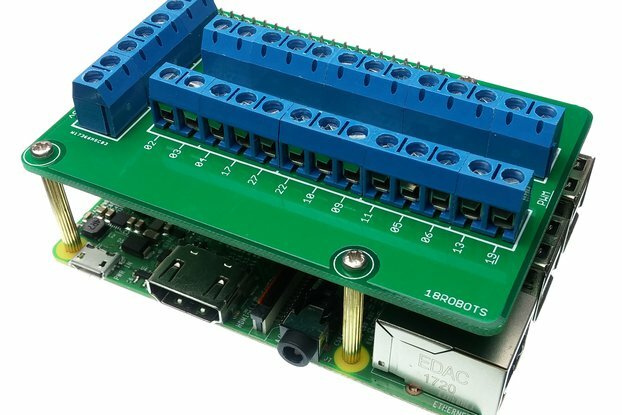 It is preprogrammed with Network CoProcessor firmware and provides UART interface to Raspberry Pi to form and manage ZigBee network, as well as communicate with ZigBee devices easily. When creating Elelabs ZigBee Raspberry Pi Shield our goal was to make an affordable and easy-to-use product for Do-It-Yourself makers and hackers. As nowadays a lot of companies have their Smart Home solutions with ZigBee: Philips Hue, Ikea Tradfri, Xiaomi Aqara and others. Using Elelabs ZigBee Raspberry Pi Shield you can directly communicate with these devices, without their default gateway, so you can build your own tailored to your needs application. i bought the shield and installed it following the instruction provided by elelabs. I am using Home Assistant in the latest version and i tried pairing a OSRAM Smart Plug and a Xiaomi Aqara Temperature Humidity Sensor without success. Maybe i am doing something wrong, but at the moment i would not recommend to buy this one. This little 10 GPIO hat might be a little more minimalist and less polished than RaspBee, but I got it at least $10 cheaper. Works like a charm together with Home Assistant. I was a bit worried seeing other reviews, but I'm glad I made a purchase. Plugged into raspberry pi 3 b+, and followed instructions (homeautomation). I was able to successfully pair it with Ikea Tradfri bulbs and dimmers. Delivery took about a week to UK, so faster than promised. Overall very happy with a purchase. I orderdered this addon for use with Home Assitant, the documentation was OK but basicaly its a copy of the official home assistant docs (as of 3.12.2018). It could be improved by providing more noob friendly information about the particular setup. Im pointing this out because for the price (around 24€ +shipping) you kinda expect adafruit level docs and tutorials. Sadly there just arent any comprehensive docs about zigbee for your average tinkerer (this isnt a problem with the product, just saying). 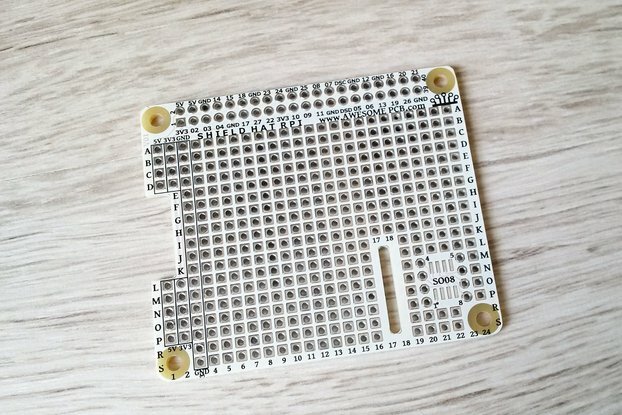 The hardware works, but for 24€ you expect a board nice and clean and not with a lot of flux residue. The shipping was a bit expensive for the long wait, but i dont realy care. TLDR: If you live in central Europe (Slovakia) this is the only option wich works natively with HASS (no Zigbee2MQTT or DeConz). For the price you would expect much better docs, and atleast a cleaned PCB. If it was 10 - 15€ i would say excellent but with this price just go get the HUSZBZ-1 if in the US. But in Europe you have got this or the prorietary DeConz. Hello. Bought a couple of these because of the extended ranged offered and form factor. This product does not work at all: after configuring everything like the docs suggests, HA does not start at all, freezes when zha component is loaded. Tried on a fresh new installation using HASSOS and Pi3B. Tried support by e-mail and oficial forum, no answer from them, I am really upset. Can someone here help me? Thanks. I am regreting this purchase since I cannot make it work in a Raspberry 3+ with Hassio. The instructions on the page are quite outdated and the troubleshooting part incomplete. For the time being, a total waste of money. The hardware works, which is the main thing. The instructions contain errors and gaps that would be easy to fix (e.g. Home Assistant command line has changed, as another reviewer has helpfully noted). The Raspbian Demo software doesn't yet work for me. Firstly, I found that the necessary config for a 3B+ is not present (didn't get past the rainbow boot screen) and secondly, my older Pi B seemed to load the OS but not the web interface. Will now reach out to support to see if I can get around these challenges. Will update this forum if I can. Low cost DIY oriented product, so not all surprising, jsut would like to see it fixed. Postage was OK but could do with better estimation of tracking. I have been using this Pi shield as part of my Home Assistant managed home. I've been using it for two weeks so far and have not had any issues. I currently have 3x Sengled E11-G13, 2x CREE Connected A-19, and 1x Sengled Element Plus connected and have had zero issues, running everything on a Raspberry Pi 3B+. I also have a Hue Bridge, but have not paired the Hue lights to the ZigBee shield. I followed the PDF guide to set it up. It would be great if the guide was updated for Home Assistant version 0.8 as some of the commands have slightly changed and that might confuse someone not as familiar with terminal commands. When you have SSH access to your Home Assistant, enter "hassio -h" to see the available commands, as they have changed from the PDF. The PDF has you enter the command "hassio host hardware" but that will not return anything as the syntax has changed since the guide was written to "hassio hw info"
Based on my experience so far, I would buy this product again and feel good recommending it to most technically inclined users. Ordered the Pi Shield and the USB equivalent. Shipping took weeks, which was annoying, but it came from China, so not too surprising. There was tracking available, but it does not provide any ETA, which is the part that needs improvement. I installed the Pi Shield on my RP3 per the instructions, disabled bluetooth via dtoverlay=pi3-miniuart-bt, and found where the device was listed by the OS. Upon adding the ZHA component to my configuration.yaml and rebooting, Home Assistant would no longer load. I had to SSH in and remove the ZHA config before services would come back up. That's as far as I ever got with the Pi Shield. With the Shield not working, I tried the USB stick instead. Only had to change the config file from /dev/ttyAMA0 to /dev/ttyUSB0 since both were listed under /dev/. With the new configuration.yaml ZHA settings, Home Assistant actually booted. I was even able to link 3 Centralite motion sensors with it and automate lamps turning on for a period when I walked into a room at night. Very convenient. Then about 2.5 days later, at 3:00 PM when nothing was happening in or around the house, all three devices stopped updating. Either all three defected at the same time, or the receiver gave out. Leaning towards the receiver. 1 star for that, too. Since both versions of the product ended up failing rather miserably, I'm going to stand the SmartThings Hub back up, configure MQTT, and use that instead. It ran reliably for months without issue. I was just trying to avoid having a cloud-based component since I shouldn't need an ISP to turn on a light in the other room. It is sad, that you had such a bad experience with our products. The only thing, that I would like to point out here is that our products (both Raspberry Pi Shield and USB adapter) only provide the interface to the ZigBee world. The automation, device handlers, even the OS in your case is provided from Home Assistant project. That's an Open Source project, and everyone's contribution is welcome. You can use our products with different Host software, like Home Assistant or OpenHAB projects, or even write your own software, using Python, Node.js or C libraries. For our DIY line of products, we focus on providing the hardware, which you can use differently. To sum it up: for now, SmartThings Hub indeed is a more mature and stable option, but I would hope that you will check the Home Assistant Github every once in a while to check if the issues, you mentioned, are resolved. Easy and clear installation out of the box. ZigBee shield supports Хiaomi sensors that I was greatly pleased. It works just as it supposed to. The documentation was clear and easy to understand. I have set up 2 lots of zigbee lightbulbs and they are all working perfectly.